Terrific. Another piranha in the tank. …called LyriCritic where he reviews awful pop music for your amusement. He does requests (like me) and he doesn’t have the temerity to ask for money (like…look, a bird!). Anwyay, you should check him out and watch him show Nicki Minaj what’s what. 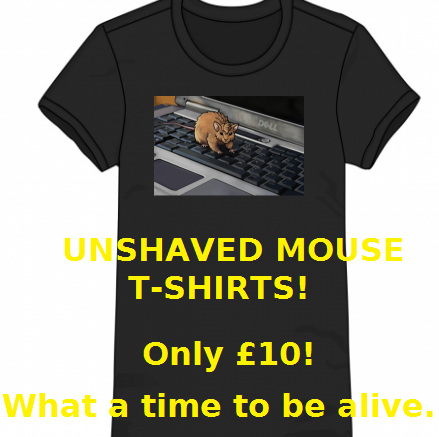 ← MAKE THE UNSHAVED MOUSE WORK FOR YOU!